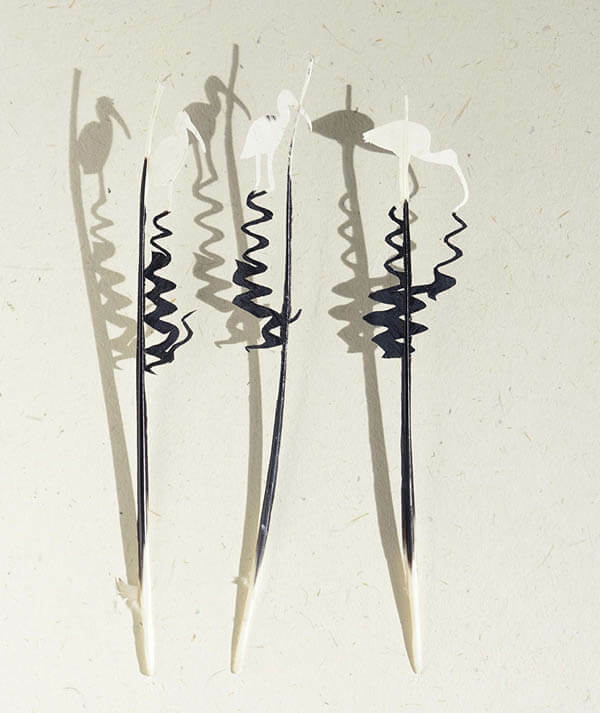 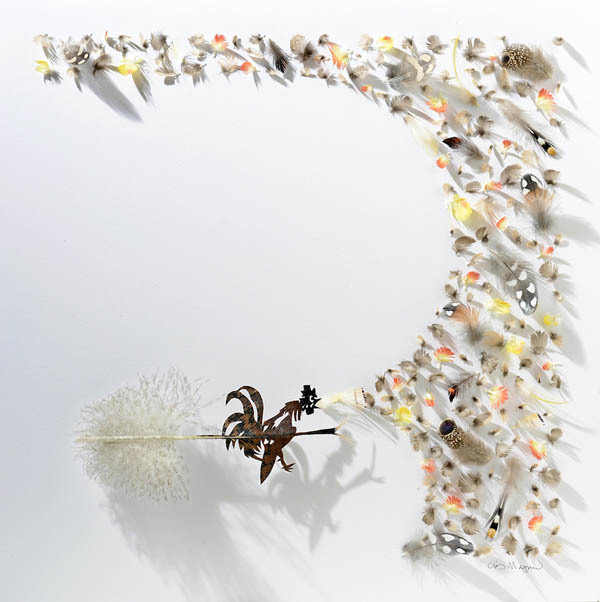 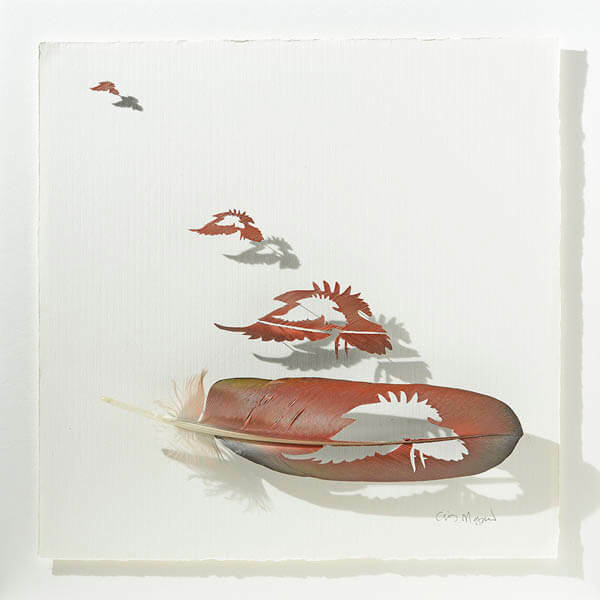 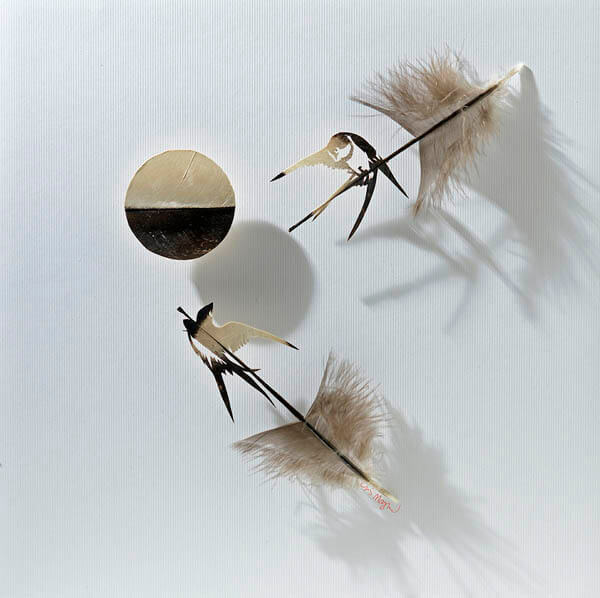 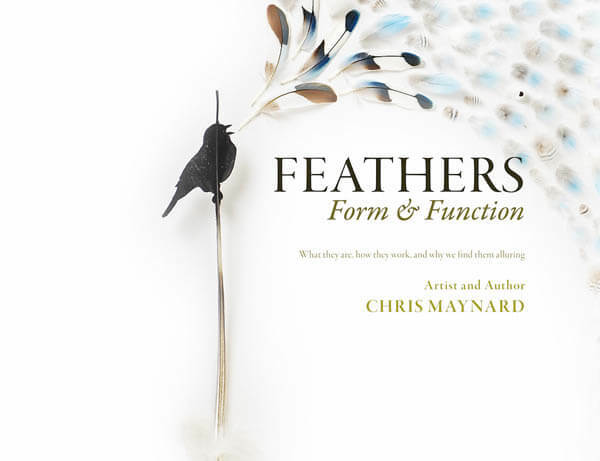 Known for his delicately feather sculpting, the Pacific Northwest artist, author, and naturalist Chris Maynard has compiled his feather art works into a book titled “Feathers, Form and Function (amazon)” which offers a unique artistic perspective on and insight into the evolution, function and symbolism of feathers. 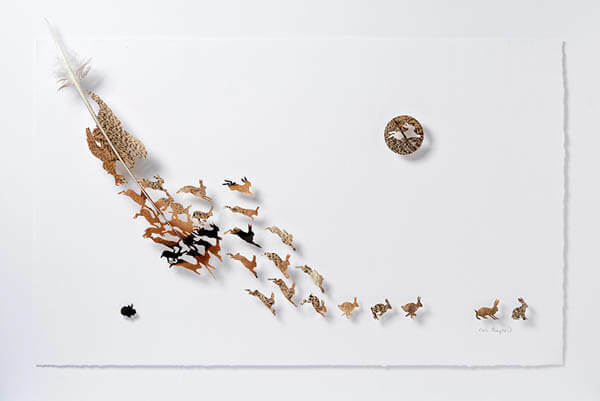 Using a small scalpel, Maynard carves bird-related artwork out of feathers. 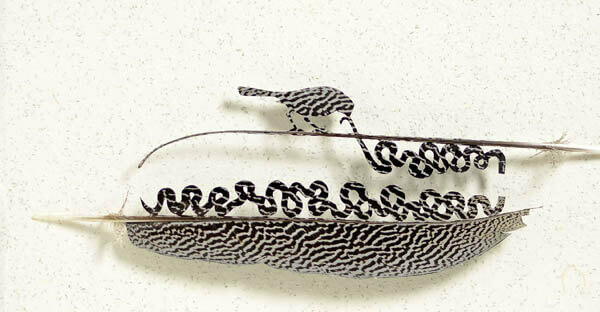 Each design highlights the feathers’ beauty and form, and calls attention to topics important both to us and the birds such as flight, lightness and attraction. 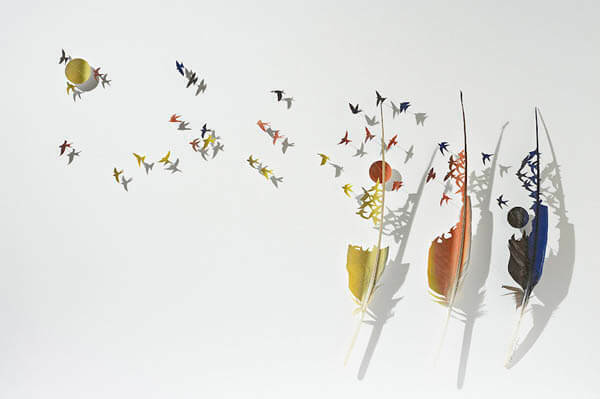 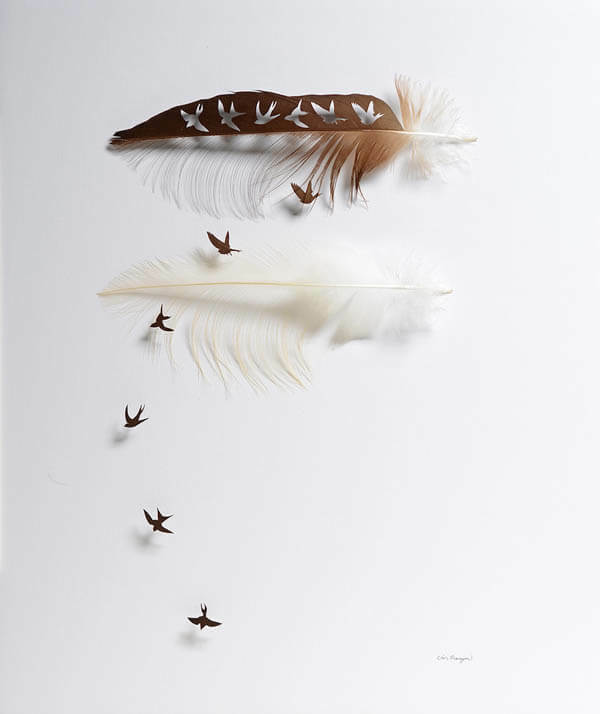 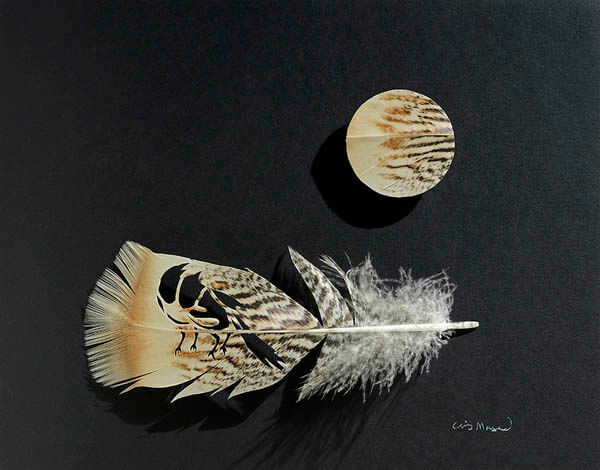 By smartly placing the positive cut-out next to its negative shape, Maynard successfully make it appear as if the tiny bird is flying from the feather. 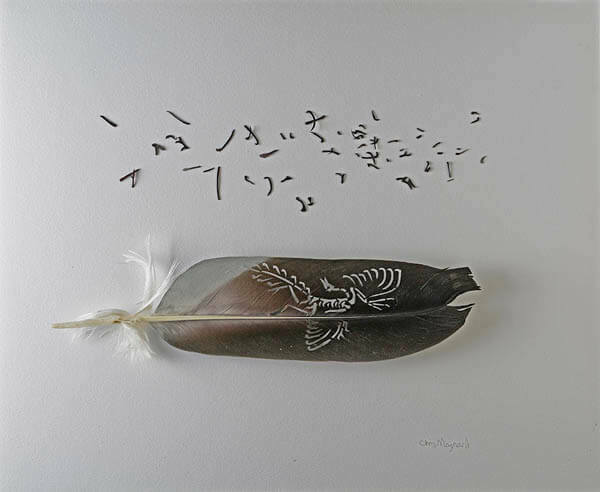 If you like Maynard’s feather work and want to know more about the feather and the type of bird it belongs to. 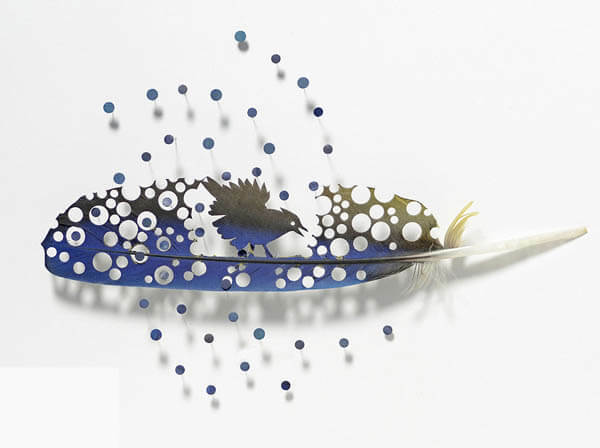 Take a look at his book “Feathers, Form and Function” (get on amazon) which offers you a new ways of seeing through the eyes of an artist, biologist, philosopher-and the birds themselves. 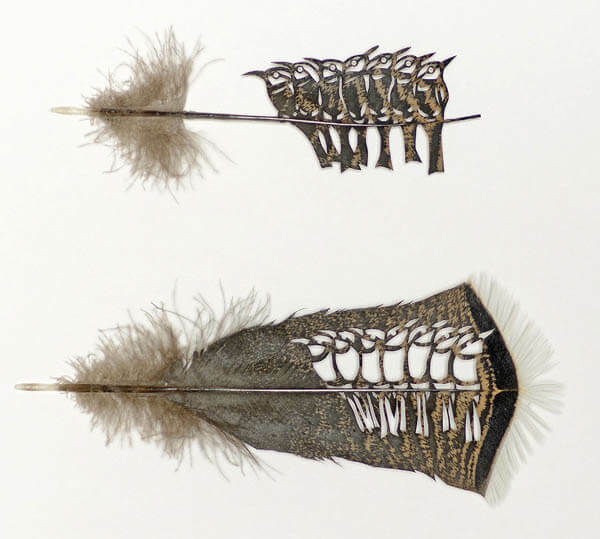 FYI, the feathers used in his works are acquired legally from zoos and private aviaries, all naturally shed by birds that range from crows to peacocks.